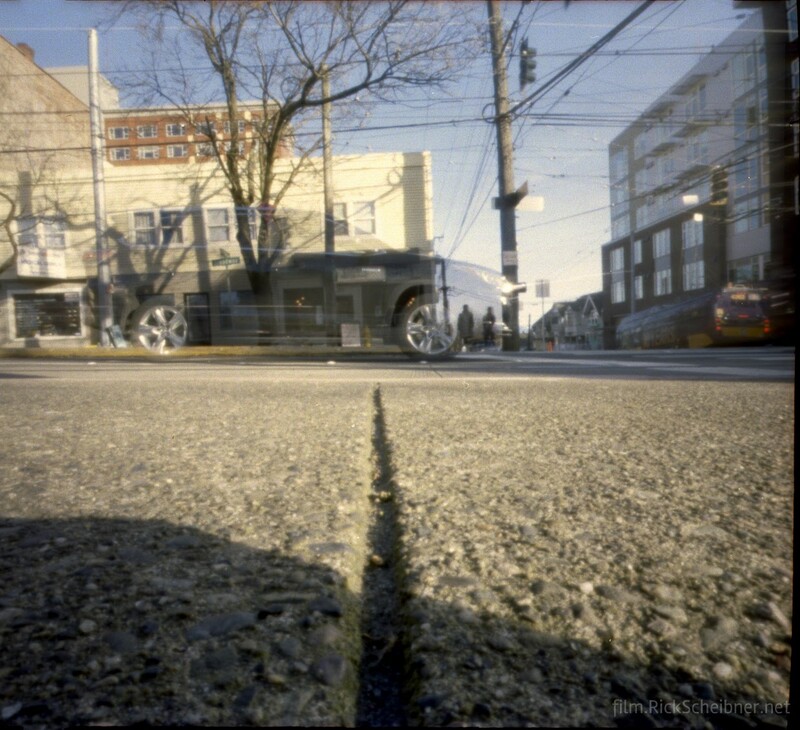 I spent a few days in Seattle last week and spent a couple of hours walking around with the Zero Image 618. 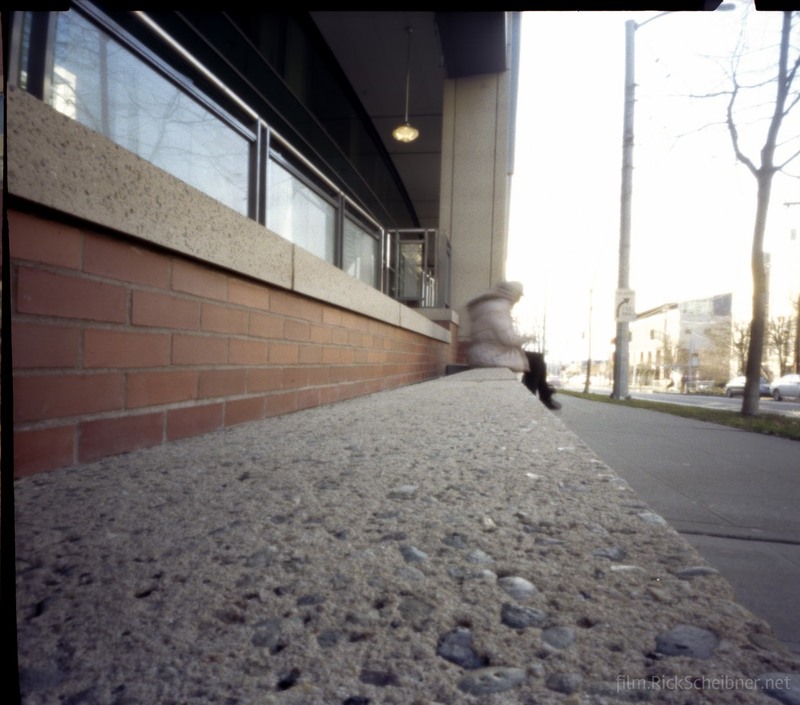 This is my first attempt at color C-41 film in a pinhole. If you're going to shoot C-41 in pinhole, Kodak Portra seems to be a good choice. 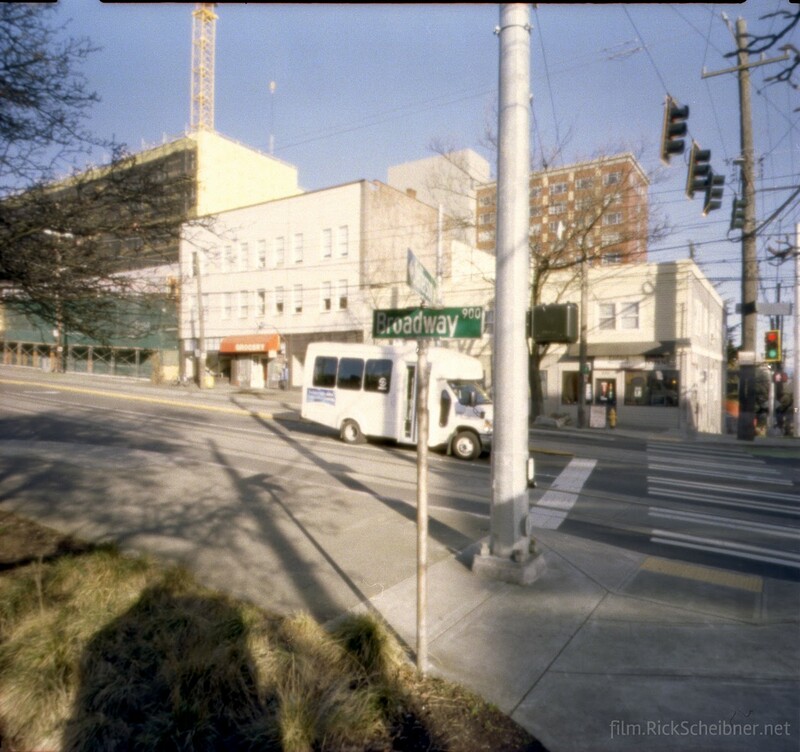 I thought it was going to be grossly overexposed, even accounting for reciprocity failure, but these came out ok. My goal was getting some motion blur in traffic, but that seemed to be obvious on only one of the frames. Still, I was able to get a few frames I was happy with and came away with some things to consider for next time.